A few days ago, our ever reliable (I'm saying this in my most sarcastic tone) frontdesk handed me a package (dated November 10, good job)--a black box wrapped in a cute pink ribbon. It's a gift pack from Purederm to be reviewed by me. :) I'm not a beauty expert like Shen or Liz or Lauren, BUT I do know how to take care of my skin especially my face. I am very particular when it comes to my undereye circles and I literally freak out whenever I grow a zit or 2. I am also trying to take care of my hands and feet more so this is just perfect. I had a meeting the next morning so I decided to try one of the items in the box. Can you guess what it is? I decided to try their Hydro Gel mask to see if my face would brighten a little with just a few hours of sleep. 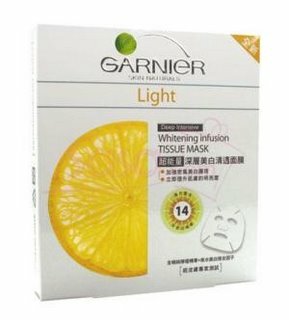 I've always used Garnier's Light Whitening Infusion Tissue mask for some quick facial fixuppers and it always work. So I was curious if Purederm would do the same for me. Anyway, I braved the streets today and went to Depot Fashion Mag's office at Greenhills. As usual, traffic greeted me with open arms. But thank you Kuya Andy for picking me up again! I met with our web programmer Roville, the lovely General Manager Sam and our lovely graphic artist Jericka. I'm excited to see our improved website very soon! Before I left, Sam also gave me a gift--a Depot planner (yey) and a complimentary copy of our newest issue.Yey. So I do hope you guys could grab a copy of our newest issue! =D I swear there are still a lot to read and discover inside. For those of you who don't know, Depot Fashion is the Philippines first magalog (magazine catalog). All the items you will see inside the mag, you can buy from our website. :) So you don't need to search for places to shop or products to buy anymore. It's all there. :) Available in all National Bookstores, Fully Booked and other major newstands and bookstores for only P120. And here are some outfit shots! I've always seen their products in Watsons, I think. But never really tried them. HAHAH! 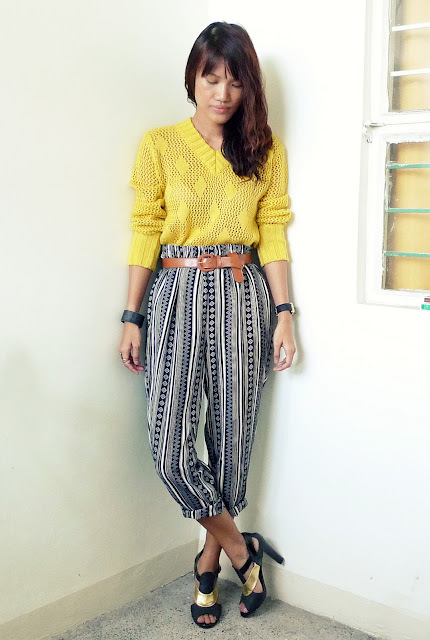 Love the yellow sweater. Perfect for the holidays. Have a good one! Yay! Thanks, pax!!! Lovin the pants! I'll get myself a copy bukas na bukas din! =) I love your top sa photo in the magazine! 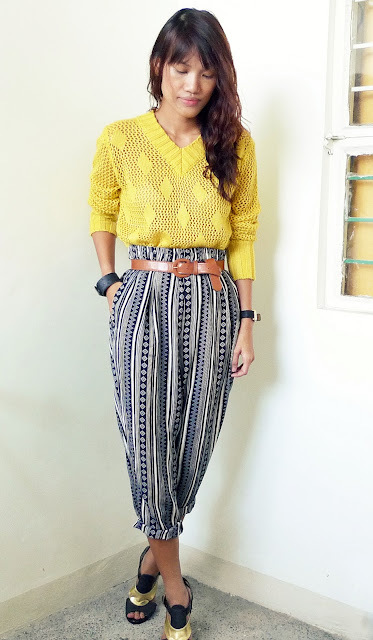 such a fun and funky outfit... :) congrats on the feature! !